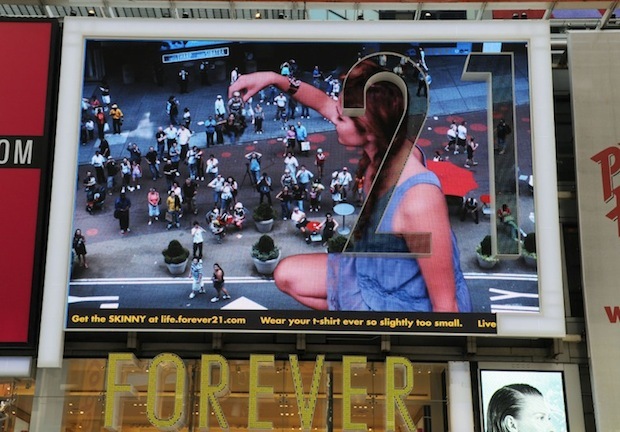 It’s a tall feat for an advertiser to stand out in Times Square, which is swathed in giant plasma-screen billboards. 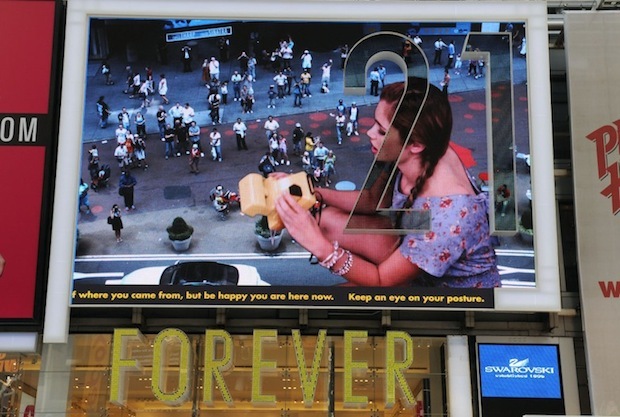 But today, a taste of what billboards might become is being unveiled–and the billboard reaches out and grabs the crowd, thanks to technology borrowed from high-tech spy cameras. 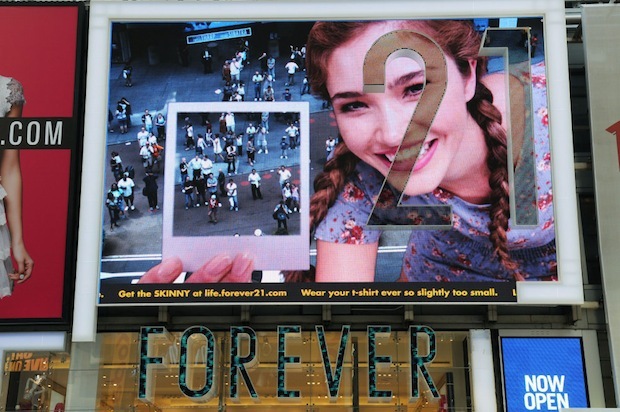 Designed by interactive agency Space150 for Forever 21, the billboard features a model walking in front of an image of the crowd below. And then it gets interesting: The model occasionally leans over, and appears to pluck someone out of the crowd. Sometimes, they stink, so she tosses them. Sometimes she kisses them, and they turn into a frog. And sometimes, she drops them in her bag and happily trots off. At one point, the model takes a Polaroid of the crowd, shakes it out, and brandishes it in front of her–showing off a zoomed-in image of the people below. The billboard relies on technology that’s usually used in government or security surveillance, and Space150 had to consult surveillance experts to pull it off. Above the 61-foot-high face a high definition Prosilica camera captures the crowd. But then, software picks apart the individuals in the crowd, and selects some for a digital composite built in real-time, which is then used in the interactions with the virtual model on screen. Adds Jurewicz, “The board now is like the iPod 1.0. We’re going to be updating this more and more.” Future versions, with better cameras, might include the model holding a magnifying glass to the crowd, or picking someone up and holding them up to the face of the billboard, so the entire crowd can get a closer look. “People just love to see themselves.” And the billboard is a huge mirror, in Times Square, one of the most famous places in the world. Designer Chris O’Shea points out the Times Square billboard’s similarity to a project he did last year in London, called Hand From Above. Check it out here.